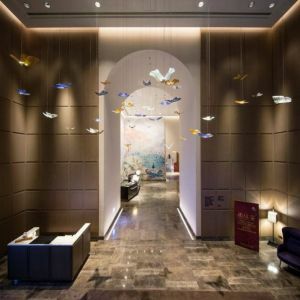 The five-star Taipei Marriott is an urban resort located along Keelung River. 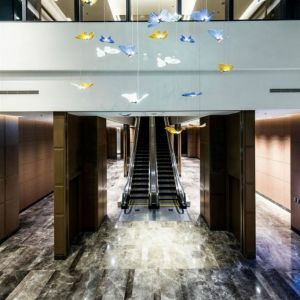 It is the city’s largest integrated destination complex offering a 320-room luxury hotel, a shopping and dining arcade and a state-of-the-art convention center. 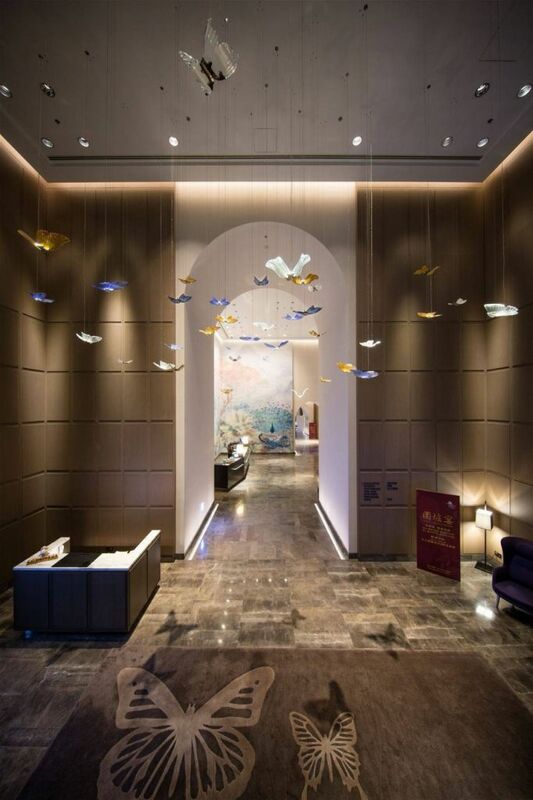 With a prime location in the middle of the Dazhi District, the hotel offers rooms with panoramic views of the Taipei city and botanical gardens. 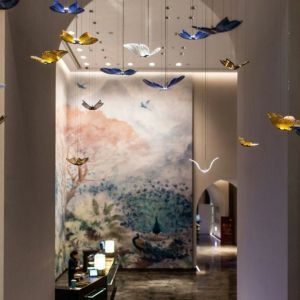 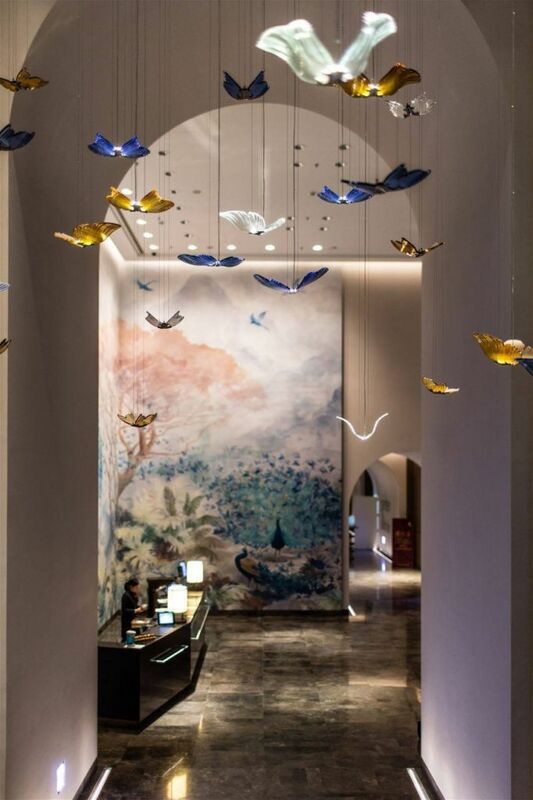 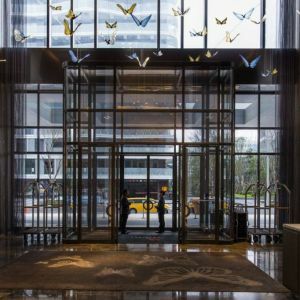 The interior design was developed by YABU and the whole concept of the hotel is based on nature inspired by the nearby butterfly biosphere reserve on Mt. 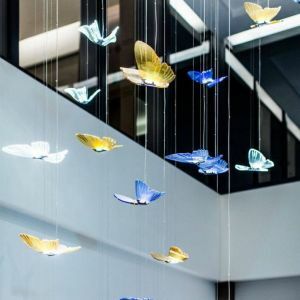 Jiannan. 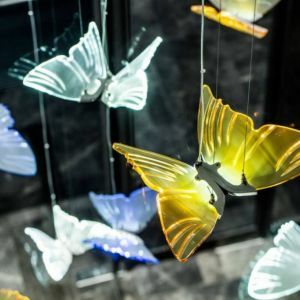 An aluminum sculpture from Spanish artist Manolo Valdes named “Butterflies” sits in the center of the landscape to serve as a tribute to nature and the arts. 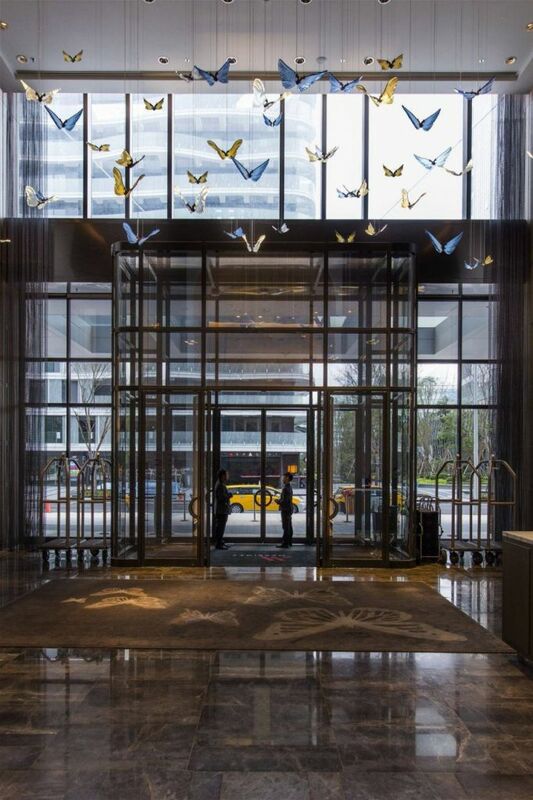 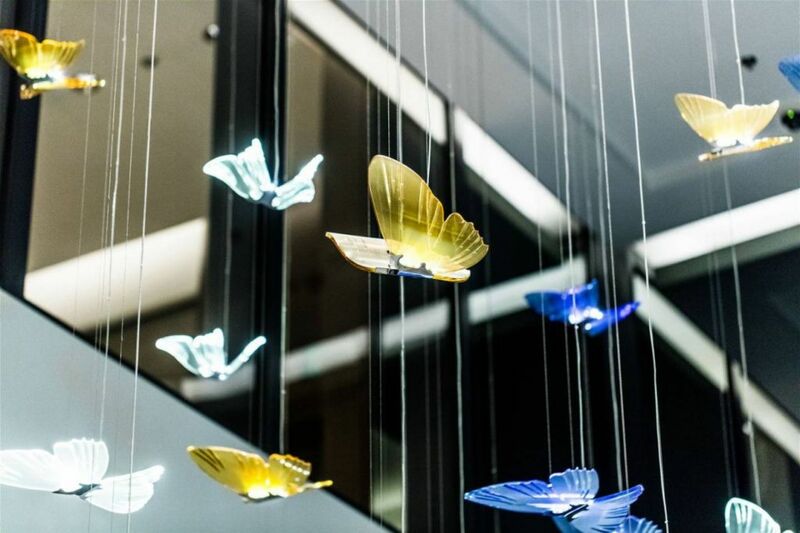 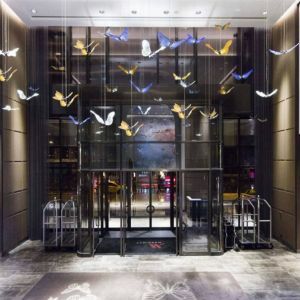 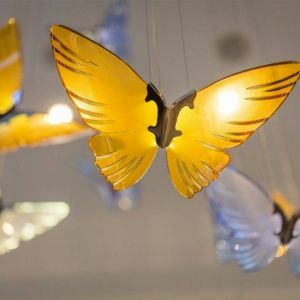 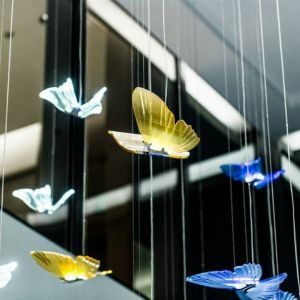 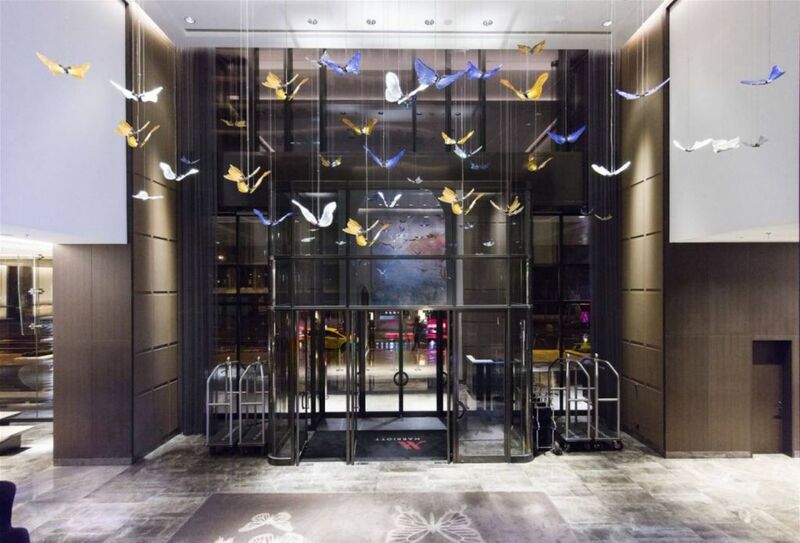 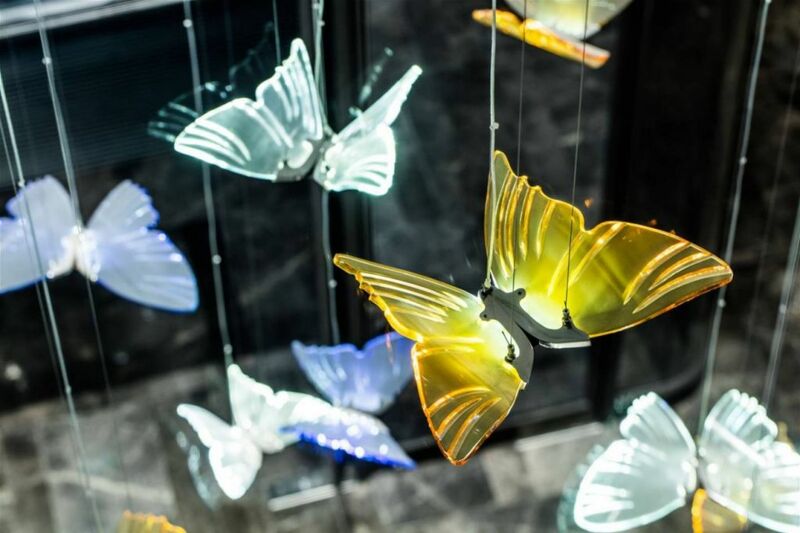 Naturally, butterflies are also the main motif of our lighting installations. 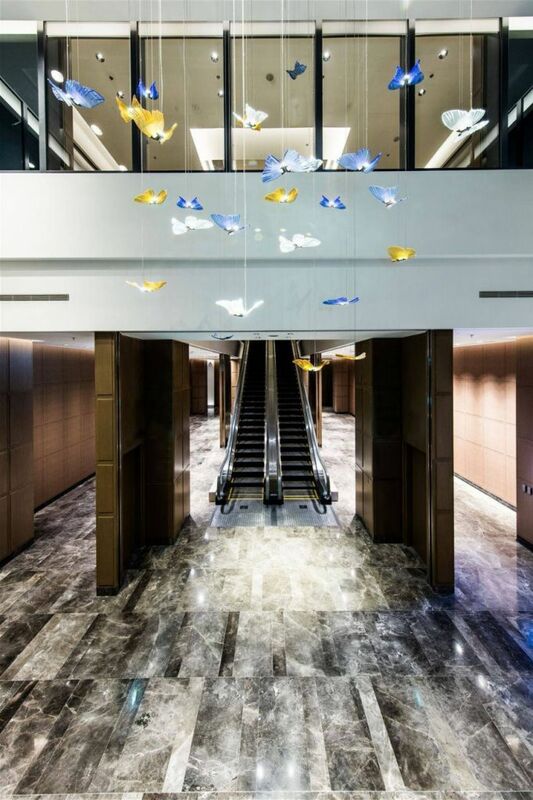 When designing and developing the project, we had to take one crucial thing into account - earthquake safety. 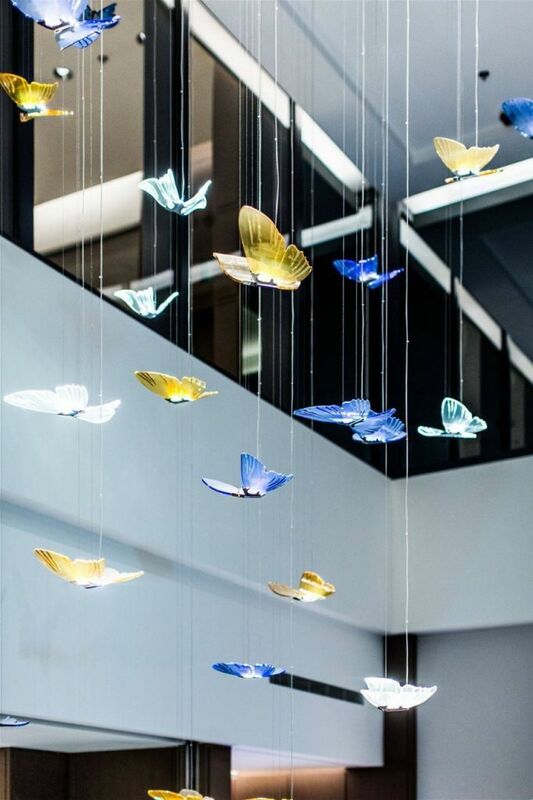 Each butterfly had to be placed far enough to prevent damage but close enough to create an illusion of richness. 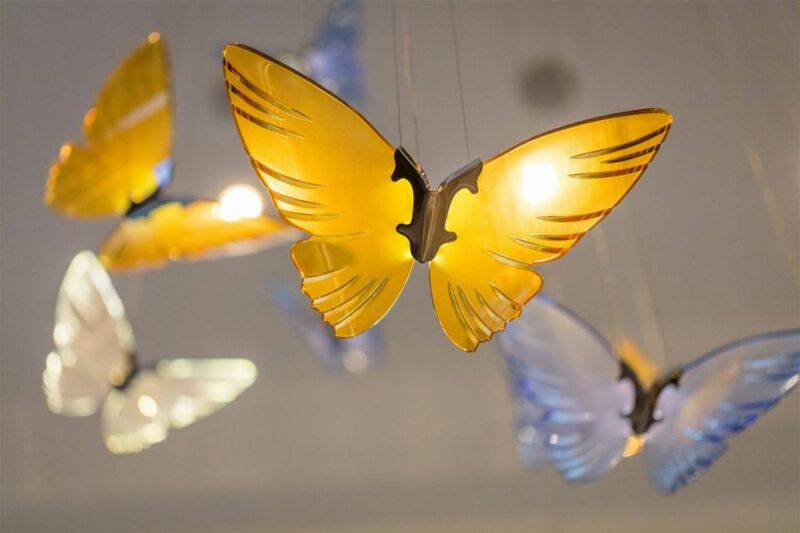 The delicate work resulted in wings of blue, crystal and amber beautifully complementing the atmosphere of the interior.